On behalf of the entire student population, staff and administration, I would like to express my gratitude for your participation at the Fall Harvest Parade on Thursday, October 31, 2013. 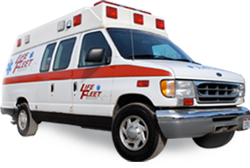 It was very reassuring to know Lifefleet was there if an emergency would have occurred. I am always amazed at the generous amount of candy you bring to distribute to the students. Your kindness and professionalism is greatly appreciated.